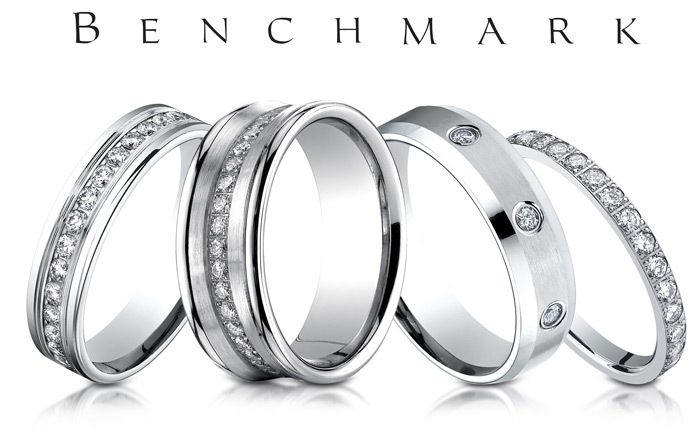 We carry the Benchmark line of Wedding Bands and Anniversary Rings. We have several dozen samples in stock. If you want to pre-select prior to coming to our store, please go on-line and write down your selections, then come in and preview or purchase. We are jewelry professionals and experts and will be able to make sure the rings fit your fingers perfectly.